There are only a few extant knives such as this. 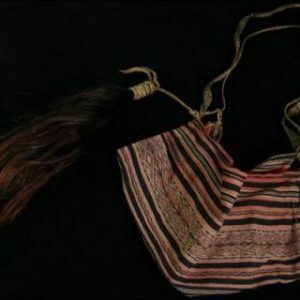 It was passed down through generations by a village chief or a shaman. This kind of knife was extremely precious. It was only displayed during special celebrations which occurred every five years. The unique facet of this knife is that it is made of bronze, a material that was not believed to have been in use (at least until recently) in Taiwan. 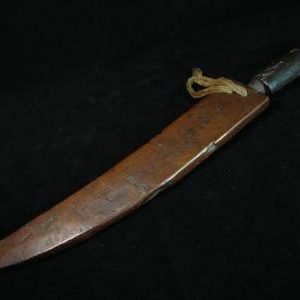 Some scholars believe the bronze knives originated from abroad in the Dong Shan/Dong Son civilization of Vietnam due to their shape and material.